In the flow of the Elbe and surrounded on three sides by water, the Elbphilharmonie Hamburg is a centre of attraction for all who live in Hamburg as well as for visitors from all over the world. The spectacular landmark houses two concert halls, a large music education area, a range of places to eat and drink, a hotel and the public Plaza, which offers visitors an unparalleled panoramic view over the whole city. 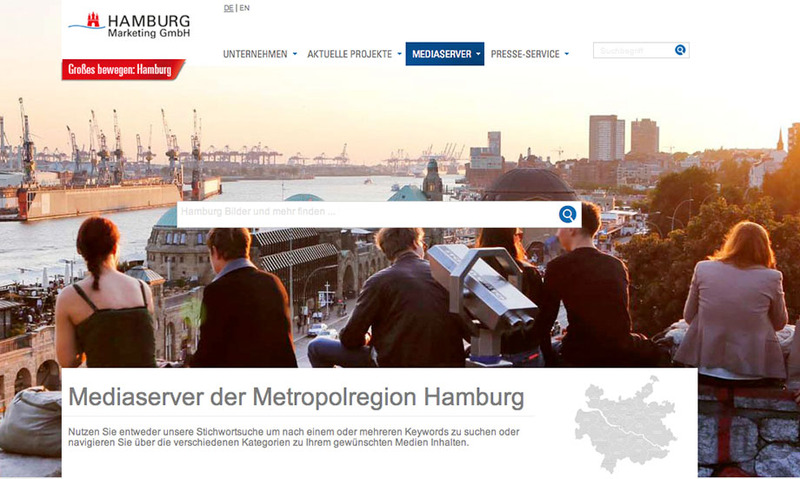 Artistic quality, variety and accessibility shape the musical programme of Hamburg’s cultural landmark. The Plaza is the central meeting place in the Elbphilharmonie and forms the link between the warehouse and the new structure. The viewing platform here is open to the public. Even getting to it is an experience: an 80-metre-long, slightly curved escalator transports visitors through the building. From the Plaza, at a height of 37 metres above the ground, a stunning panoramic view over the city and port opens up before the viewer. An outside walkway leads around the entire building. Inside, there is the hotel lobby, the Elbphilharmonie shop, a dining area and the stairways to the concert halls. 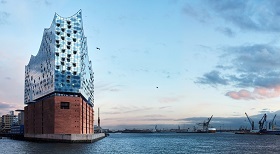 The Elbphilharmonie Plaza extends an equally warm welcome to all residents of Hamburg and to visitors from near and far, whether or not they have come to enjoy a concert. The heart of the Elbphilharmonie is the Grand Concert Hall. The 2,100 seats are arranged around a centrally located stage, a staging that is reminiscent of terraced vineyards. No member of the audience is seated more than 30 metres from the conductor. Being so unusually close to the action turns this new acoustic space into a place of unforgettable musical encounters. In order to achieve the optimum acoustics, the architects developed a special wall and roof structure together with internationally renowned acoustician Yasuhisa Toyota – the “White Skin”. 10,000 individually shaped gypsum fibre panels cut with millimetre precision ensure targeted sound distribution that reaches every corner. For the Grand Hall, the Bonn-based organ building company Klais developed an extraordinary concert hall organ with 4,765 pipes that are located in, next to and behind the audience stands. There is also an additional remote unit with four registers located in the reflector above the stage. The upper part of the Elbphilharmonie building also houses the Recital Hall. In this intimate and versatile space, elegantly shaped wood panelling – which was also designed by Toyota – ensures perfect acoustics. With seating for 550 people, the Recital Hall is the ideal venue for chamber music, lieder recitals and solo recitals, as well as jazz and world music concerts. The flexible seating means that the space can be used for a wide variety of purposes. 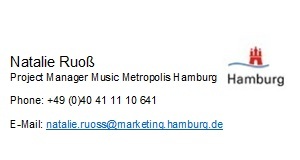 The “Kaistudios” in the former Kaispeicher harbour the Elbphilharmonie’s music education area. Here, in the various rooms, music becomes a proactive experience – day after day, from early until late, and for people of all ages. The “Kaistudios” are also home to the “Elbphilharmonie World of Instruments”: diverse workshops in which children and adults can try out instruments from all over the world. The largest of these rooms, Kaistudio 1, can also be used as a third venue for events. The task of making music accessible, approachable and something that everyone can experience was, as it were, written into the Elbphilharmonie’s DNA. The concerts are therefore bursting with musical colour and contrast, and the programming is devoid of any ‘blinkered’ artistic style. The broad musical spectrum includes orchestral concerts and operatic performances with the best orchestras in the world; piano, string quartet and lieder recitals; as well as world music, electronic and pop music. 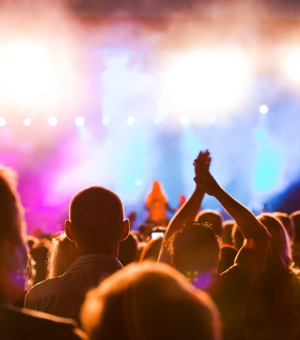 International stars have an impact on the musical heartbeat of the concert hall, as do the artists and ensembles within the city. The NDR Elbphilharmonie Orchestra has taken its place as the Elbphilharmonie’s orchestra in residence, while the Recital Hall provides the Ensemble Resonanz with a space for its excellent concert programme, which is dedicated to contemporary music in particular. 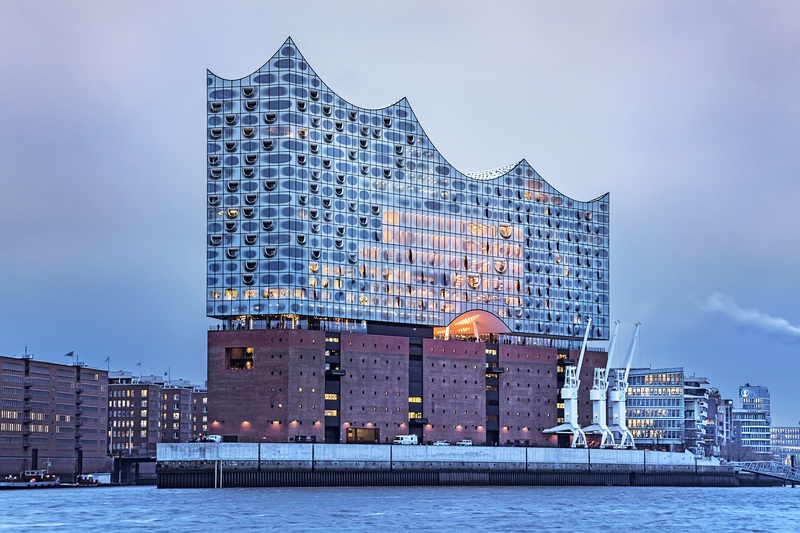 Spectacular architecture, musical diversity, openness and accessibility to all – the Elbphilharmonie unites all the multifaceted aspects Hamburg has to offer and helps broaden the view through Hamburg as a gateway to the world, as the city has prided itself on doing for generations.